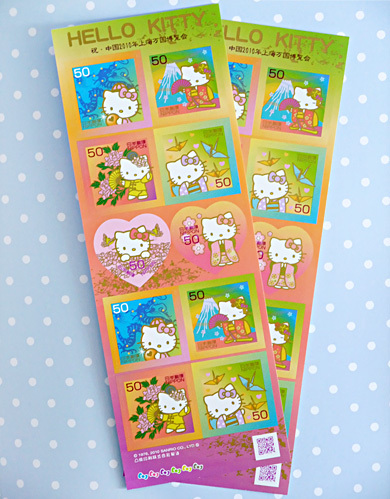 Hello Kitty latest sheet of postal stamps! 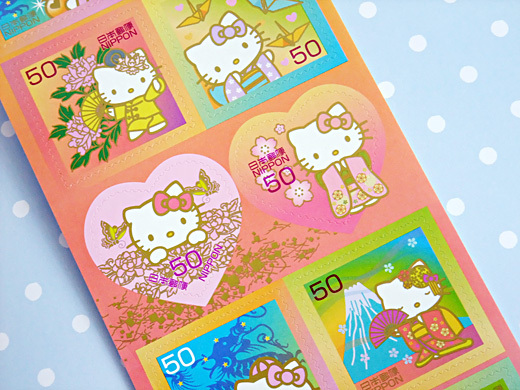 This time, HK wears cute China & Japanese motif fashion. These are commemorative stamps of Shanghai Expo 2010.